​​All programs offered by A1 Group Training are aligned to the RII Resource and Infrastructure Industry Training Package and TLI Transport and Logistics Training Package for quality assurance and best practice. There is no set commencement date for courses they commence at a time to suit participants’ availability. To enrol in any of our courses you will need a Unique Student Identification number (USI). You cannot be issued with a Certificate or Statement of Attainment unless you have a USI. You can create your own USI by visiting ​www.usi.gov.au. Or authorise A1 Group Training to create one on your behalf. ​Students should be able to read and write English at the level required to perform the work in the qualification/unit of competency. A1 Group Training’s trainer will provide all participants with a Language, Literacy and Numeracy assessment on enrolment and will provide participants with the necessary referral for support if required. Participants must provide their own personal protective equipment (PPE) and A1 Group Training will provide all learning material on enrolment. Students must have access to all workplace documents such as safety and emergency plans and safe work method statements (SWMS) to successfully complete the courses offered. This unit specifies the skills and knowledge required to safely operate a boom-type elevating work platform where the length of the boom is 11 metres or more. Boom-type elevating work platform means a telescoping device, hinged device, or articulated device, or any combination of these, used to support a platform on which personnel, equipment and materials may be elevated. What role does this unit of competency suit? A person performing this work is required to hold a boom-type elevating work platform high risk work (HRW) licence. 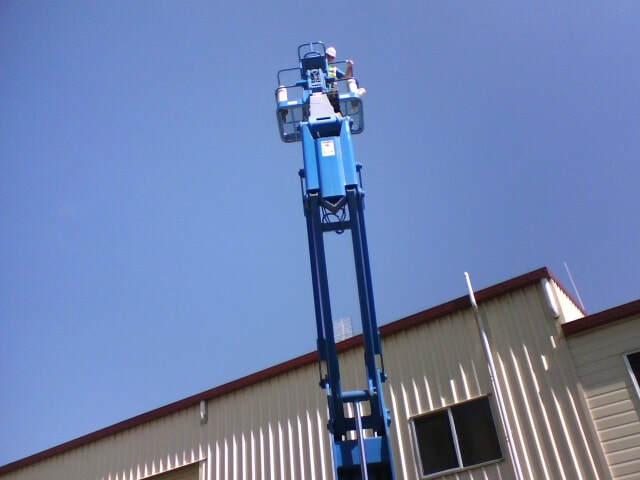 This unit requires a person operating a boom-type elevating work platform to plan the work, conduct routine checks, set up elevating work platform, operate elevating work platform, and shut down and secure elevating work platform. The EWP licence is available by first completing knowledge training then doing work experience under a qualified licences supervisor. You must log all work completed on the forklift in your log book. The assessor must check and verify the workplace training prior to you completing the final assessment. Successful applicants may then apply to WH&S Queensland for the licence. ​The unit of competency comprises 5 elements of study. Training can be undertaken on site at your workplace or at the A1 Group Training’s training facility conveniently located at 4 McCartin Court in Toowoomba approximately 100km West of Brisbane. ​The course trainer and assessor for this qualification is highly experienced industry professional and A1 Group Training Director, Mr Danny McCartin. Will I get value for money? Does the trainer know what they are talking about, and do they have the experience in my industry? All are legitimate questions and are usually the first thoughts most students have when speaking to training organisations. ​The team at A1 Group Training and its Director and Training Manager Danny McCartin understand that completely, and are focused on providing high quality, skill enhancing and outcomes focused training to clients. 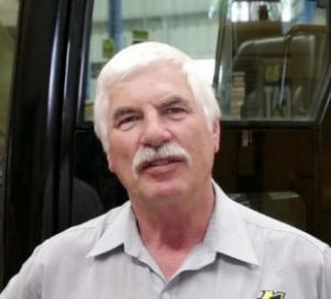 ​Danny McCartin started out as a Carpenter and Joinery trade apprentice, and has built an impressive skillset over 40 years across the building and construction, earth moving, heavy machinery and freight transport industries in Toowoomba, as both a business owner and tradesman. Not satisfied with sitting still, Danny grew his skills through the completion of four (4) trade qualifications in Carpentry, Motor Mechanics, Welding and Fitting and Turning. ​Whilst working for TAFE South West (formerly SQIT) in Toowoomba, Danny McCartin identified an opportunity to provide his students with more focused and personalised training through his own training organisation, where programs are tailor made to suit the individual. Legislative, regulatory and certification requirements. This unit is based on the licensing requirements of Part 4.5 of the Model Work Health and Safety (WHS) Regulations, HRW and meets Commonwealth, state and territory HRW licensing requirements. Relevant information must be sourced prior to undertaking the unit. Contact A1 Group Training for further information or to enrol. $750.00 in total covers the cost of the training and assessment for the unit of competency. A high risk licence application fee is applicable for successful participants. Contact A1 Group Training for full details.